On Easter Monday (and most definitely not on Easter Sunday) the first butterfly emerged from its chrysalis. I chose to raise butterflies for the sole purpose of using them for my Easter Sunday Children’s Message. It would have been great. It could have been fantastic. But, on Easter Sunday, there was not a butterfly in the bu nch. They were all chrysalides, looking like rolled up, dried out, leaves hanging from the side of the habitat net. Uggh. I watched as the caterpillars grew from small, black, grains of rice, to large pig-piles of hairy udon noodles. These creatures ate their way through Lent. Then, one by one, those big, fat caterpillars climbed to the lid of their cup, hung by their toes, curled like a fish hook, and spun a hard shell, to wait for the promised transformation. Which happened on Easter Monday. And Tuesday. And Wednesday. 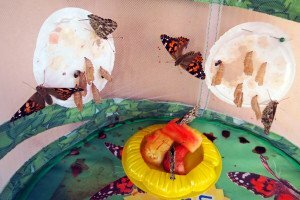 By Thursday, all 10 butterflies were fluttering around their habitat and drinking the nectar of the fresh fruit which sustains them. It would have been a great children’s message. Uggh. But before butterflies flutter and feast on fruit nectar, they must first dry out their wings. Apparently, butterflies need time to rest and recover from their great transformation. 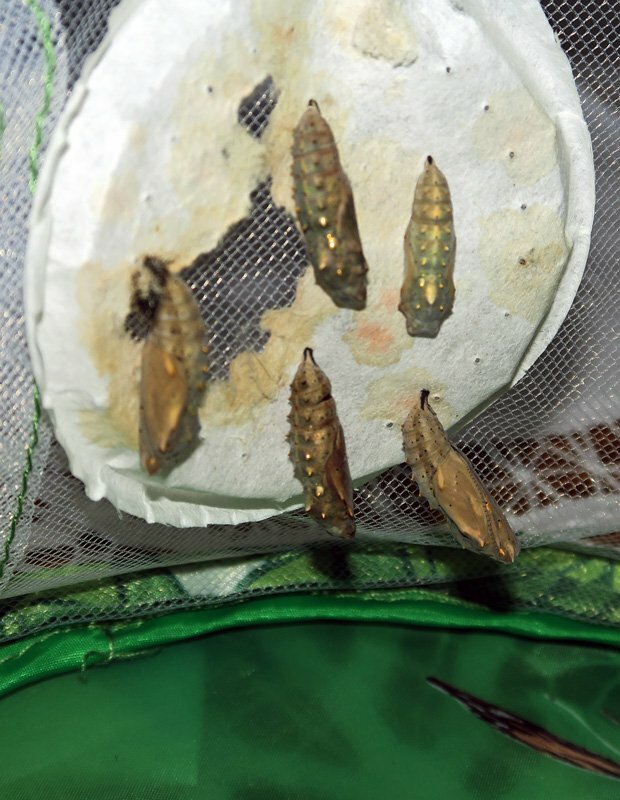 When they first emerge, their wings are tiny and shriveled. As they rest, their wings dry out and expand, making them strong and full. Once they are ready to fly, their color is revealed, from where it is hidden on the underside of their painted wings. So, as I peered into their habitat, on Easter Monday, to see the first butterfly hanging out to dry, that is when it hit me. For the past month, I thought these were Easter butterflies. Apparently, they were not. These were sabbatical butterflies. So, after eating my way through Lent (seriously), and spinning around in circles during March, and crawling into a worship shell during Holy Week, Sabbatical Monday arrived, and I began to dry out my wings. It was clear in that moment, that time has arrived for me to rest and recover until my wings are ready to fly, and some new colors are revealed.